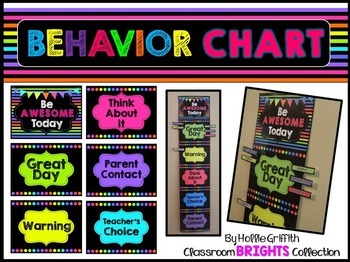 This clip down behavior chart is sure to brighten up your classroom and keep your students on task. Students begin each day on green and must clip down for misbehavior. It goes perfect with my neon brights on black classroom decor. *This product come in an EDITABLE PowerPoint file!! Check out my entire Classroom Brights Collection at my TpT store! You can save 40% by purchasing the bundle! !